My personal feelings are that nobody should use the “N” word, the “F” word or so on. I think it is terrible and just shows the mentality of the person using it. I guess this is kinda personal for me because growing up we used the “N” word when we would go to the store to ask for Brazil Nuts. I never realized till many years later that they weren’t called “N” toes. Also growing up it was very common to hear others around me call fixing things with baling wire and string a way of “N” rigging. As I got older, I realized that it was wrong and hurtful to those around me and I made sure to correct myself. Then there is the”F” word. The reason I bring this up is that in my past, I never seen anything wrong with using the “F” word or whatever else that would be considered cursing. My husband was in the Army and I worked at a truck stop and it was common to talk like a sailor and never thought anything of it. That was until I was in a restaurant and nobody else was talking like I was and God decided I needed to hear how bad it sounded. I made a decision at that point to not swear because it wasn’t the right thing to do. I bring these things up because these are things from my past. And thankfully my past is my past. These things aren’t a part of my life now and haven’t been for almost 19 years. If I were to be judged on these times that I used this language, then I would be on the cross with Jesus Christ. I knew I was guilty and was in the wrong at some point. Now I did make sure to correct my way of talking and haven’t gone back to using this language. I find that I get pretty angry when people only know how to use the “F” bomb or other colorful language. Maybe that is because I know how wrong it is and how bad it sounds. At least for me it does. Now, back to Paula Deen. She has asked for forgiveness and knew what she said was wrong. Should we condemn her or should we forgive her. I have chosen to forgive her. I have no room to judge her because I have made my own set of mistakes. The time Paula Deen was asked about using the “N” word was from the 1980’s. That was a long time ago and her shows came on much later than that. People do change and grow from the lessons they have learned. I know I have and Paula is a human who says things that shouldn’t be said and admitted to them. Then I wonder how many of us would have a job or friends if we were judged on every single thing we said in the past. I guess I will end this post with this thought and hopefully half the world doesn’t try to condemn me like they have Paula. My final thought is that it is better to forgive then to hate. You can get further with forgiveness than being hateful. 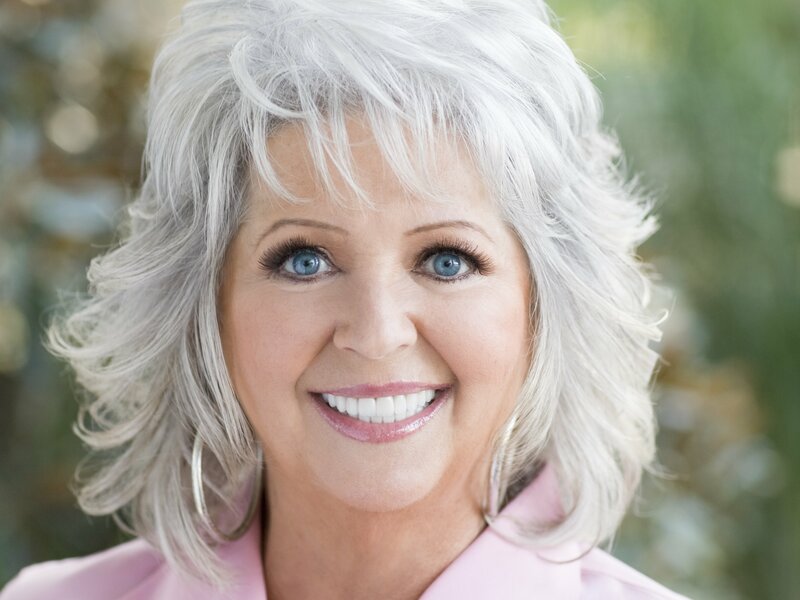 I think awareness is very important, but is there really a need to have a lynch mob go after Paula Deen? I say NO! I take offense when I hear someone use an ethnic slur. Slurs are slurs, and show ignorance and intolerance. I probably, no, I absolutely should have kept my mouth shut on this subject, because I don’t think it’s coming across too well, so I will now stop!! PS. This Okie married a Dago Prunepicker that was raised in the Webfoot state and lived mostly happily ever after for 59 years. LOL… I know what you are talking about. We grew up with all kinds of labels and maybe we didn’t think as much about them because their wasn’t the media technology that there is now. I do think there is a big difference on how it is perceived or taken depending on how it is used. Once I found out how bad the “N” word was and how it was perceived, I got the message loud and clear not to use it. I think when it comes to Paula Deen, I look at the generation she lived in and where she lives. From my understanding of history, it was very much an area where blacks weren’t respected and slavery was alive. I don’t think anyone should call someone something like that. But then at the same time I think that people can grow and learn from their past mistakes. And I know that many of my mouth blunders were mistakes and from not knowing or understanding. We hear things as children and think nothing of it until we are taught. I know when you brought up wetbacks, we would call people that came here illegally from Mexico or scratch backs because they would come in under the fence. Maybe we need a book of what is acceptable and not acceptable and who can say it and who can’t. Like I said in one of my comments, I wonder why it is OK for some to use it and not others. I would think it would be wrong for anyone and there are a lot of mixed messages. When I hear some of the songs on the radio and a rapper is using the “N” word and it is accepted. I don’t understand why that would be though. Am I making sense on this or is it just me?